Are you ready for Valentine's day yet? 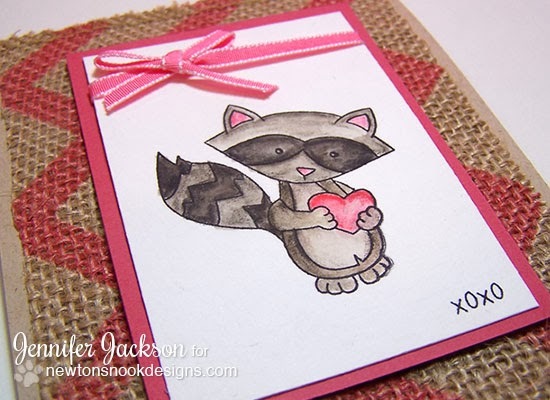 This little bandit would make a very sweet valentine card! I stamped him onto some watercolor paper and colored him in with Inktense watercolor pencils and a water brush. Isn't he adorable? I also added on a piece of this fun chevron printed burlap I found at local craft shop! So fun! 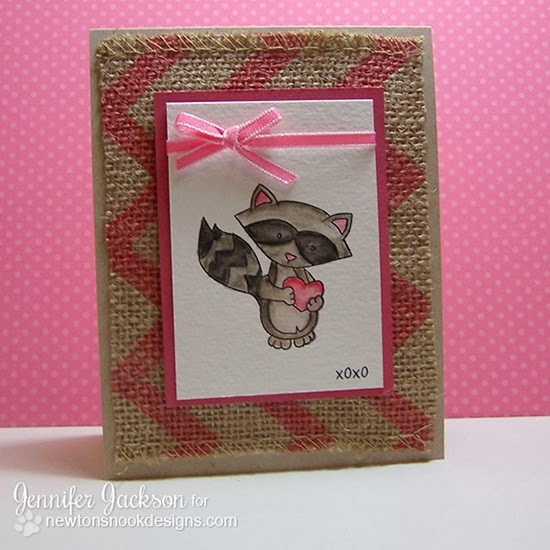 For the sentiment I just added the simple "xoxo"-- simple and sweet! Just a few days left to make a fun Valentine for your sweetie! If you make one using a NND stamp set, I'd love to see it. Make sure you add it to our flickr group, facebook page or Splitcoaststampers gallery! This week only - Help us name our Bear - and WIN! Since our "bear" has now been in several stamp sets, we thought it was time that he had his own name! With the help of our design team and friends we've chosen 6 names but now we need your help. Check out our poll on facebook and vote for your favorite name! At the end of the week we will choose 3 random winners from all the votes to win our new bear stamp set - releasing next week! You can vote once a day - until Friday, Feb. 14! Share it with your friends too! oh my goodness!! this card is adorable!!! THAT BURLAP?!!?!? i love it so much! 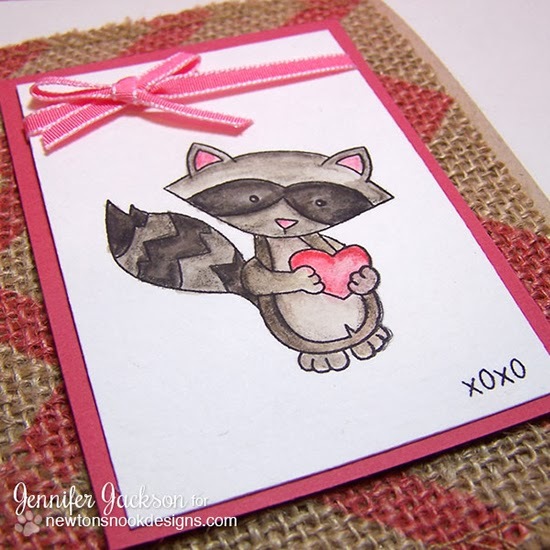 and your sweet watercolored raccoon is a total heart bandit! love it! So precious - love it!